A free, public conversation by an academic panel focused on questions like: How are the worlds of higher education, learning theory, and technology evolving, and how should a school like The Cooper Union position itself and its students for success in a globally connected world 20 years from now? Are aspects of a formal education in architecture, art, engineering, and the humanities timeless? 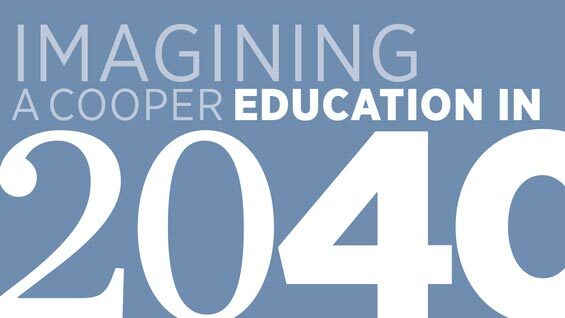 A presentation and panel discussion with national education experts and esteemed Cooper faculty and alumni will explore the future of learning in higher education and the implications for The Cooper Union. This event is part of a week-long series of events celebrating the inauguration of Laura Sparks. Note: All classes scheduled during this time are cancelled.